SOS Children's Villages Philippines will be celebrating their Silver Anniversary this coming June 12, Wednesday. 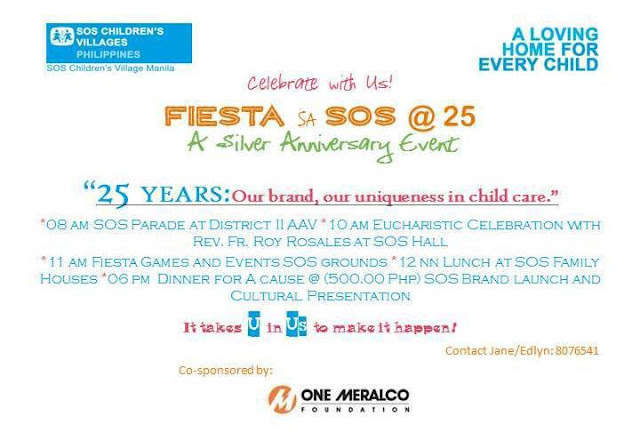 It will be a whole day affair starting with a Parade, Eucharistic Celebration, Fiesta Games and a Dinner for a Cause. Tickets are at Php500 each.